They weren't out for blood. They were out for kicks! 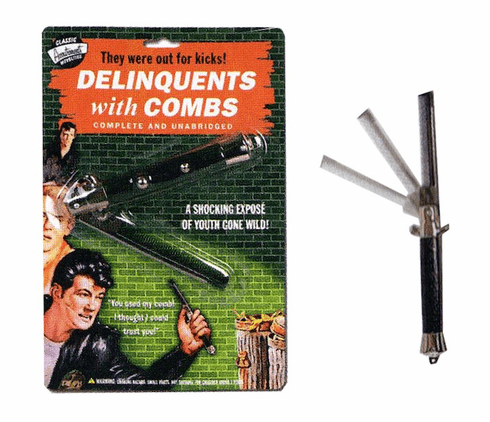 No one will mess with you when you're packing this fiesty switchblade comb. 9" long, plastic and metal. Snaps open with push button action.